Creating a solid identity for your brand by making it stand out helps you move from being just another player in your industry to becoming a recognized name. Proper branding is important in acquiring loyal customers and brand ambassadors who will help in promoting your business. Through a combination of great products / services, styled packaging, and tactical promotion, you can establish your brand as a trusted institution offering the highest-level quality of business. Why It’s Important: Your brand name is the first thing your customers and target market will remember about your business. It encompasses all feelings and connections that each consumer associates with your products or services. Make sure your brand name is visible in every online collateral you have – the pages of your website, downloadable materials, presentations, etc. Why It’s Important: Your company statement tells your target audience about who you are, what you do, why you do it, and how you approach your work. The context, meanwhile, allows you to target your market segments more accurately and ensure that you are delivering the information your target market wants. Research your market demographic and don’t forget to test elements to see what works with your audience. Install and track online analytics for your website. This allows you to monitor user behavior and determine opportunities for targeting your content. 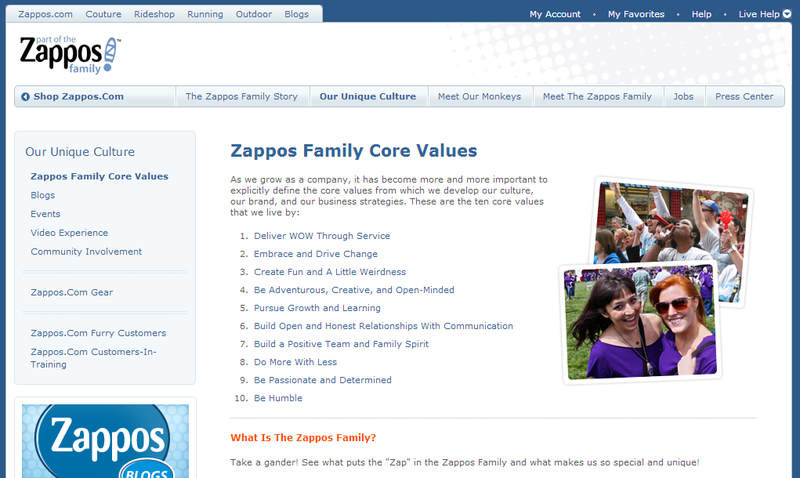 Zappos is a good example of a brand that has successfully relayed their company statement to their audience. Why It’s Important: The style of your website sets the general feel your target will get when they visit your page. Your style needs to be consistent throughout your website. Choose a theme, color palette, and fonts that reflect you as a brand. Your logo is a good source of colors to begin with (we’ll get to the logo in a bit). Keep your web design simple, highlighting the action items that lead to conversion goal completions like newsletter sign-ups, purchases, or downloads. Pay attention to the content that goes on your website as well. The voice of your copy should be consistent throughout all your pages, and they should reflect your company statement. Why It’s Important: Aside from your brand name, your logo is the visual representation of your brand throughout all online channels. It will be seen from your website itself, to your social media presence, to third-party publications, and on all your marketing collateral. Older businesses may need to update their logos to be more Internet-friendly. When you redesign, consider making a bigger image that you can resize without losing any of the details. Take into account the different places where your logo will appear. You’ll need icons that are recognizable, favicons for site tabs and bookmarks, and mobile-optimized images for your mobile users. Add social media into the mix. How will you display your logo on social media while remaining consistent with the look and feel of your entire website? You need to design a logo that transitions to either channel nicely. Create brand asset usage guidelines to ensure consistency, even in third-party online entities. Twitter has been successful at revamping their logo to be more multi-platform friendly, and their brand assets come with guidelines for users. The trick to solidifying your brand through your website is cohesion and consistency. As your SEO web design company, we will help ensure that all the aspects of your website are consistent with your intended brand message, ensuring easy recognition and positive association among your audience. Talk to us today to discuss your design. Bernard San Juan III comes from a successful career in online companies, where he played a critical role in building & managing workforce groups. He has redesigned the organization’s IT infrastructure to improve order processing and logistics. His skills include managing performance, managing costs and training. He also manages overall sales, customer satisfaction, graphic design, copywriting, and training with first line supervisors.